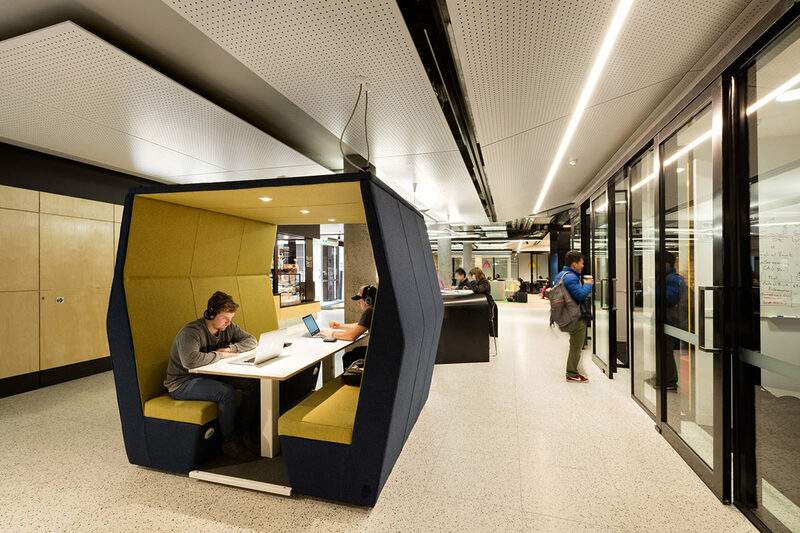 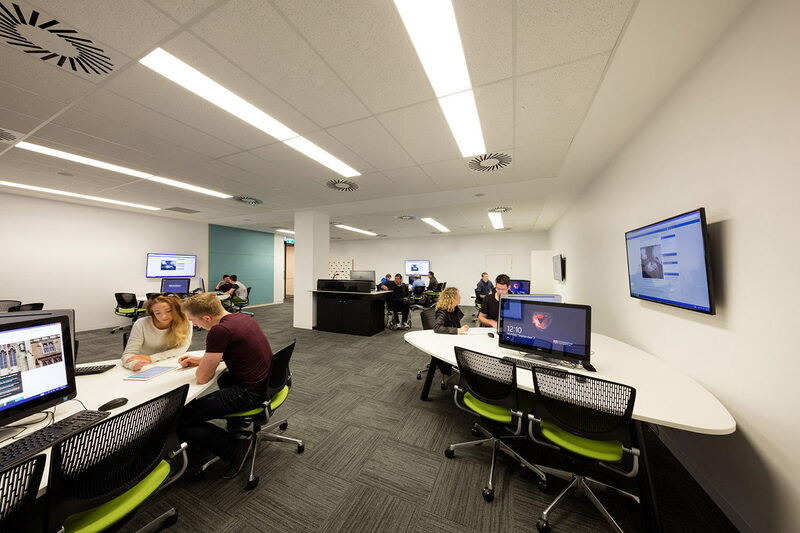 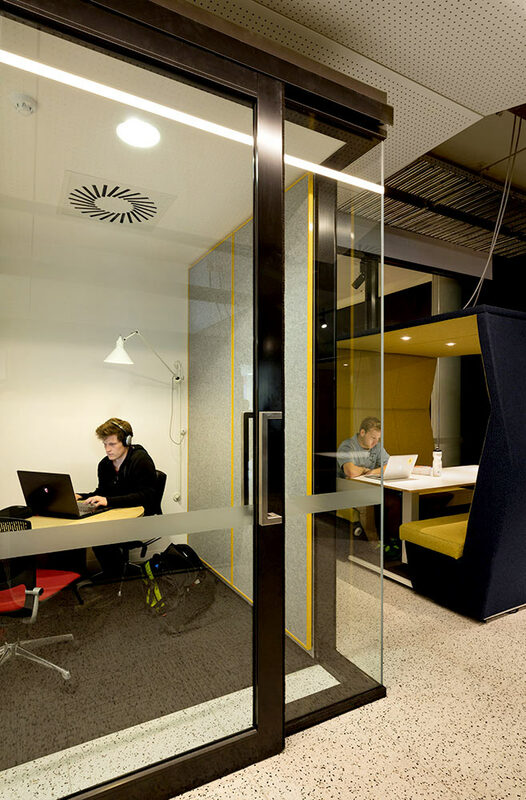 Following a comprehensive review of spatial requirements and space masterplanning for the Hobart and Sandy Bay campuses, a series of interrelated projects is contributing to the exciting process of transformation to provide better student outcomes, improve student experience, increase research output and reduce fixed costs. 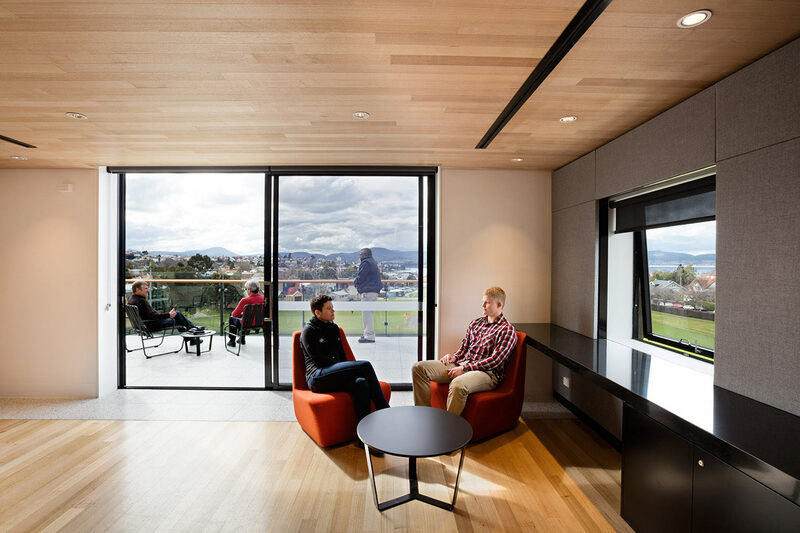 The first of these is the Centenary Building upgrade for the Tasmanian School of Business and Economics. 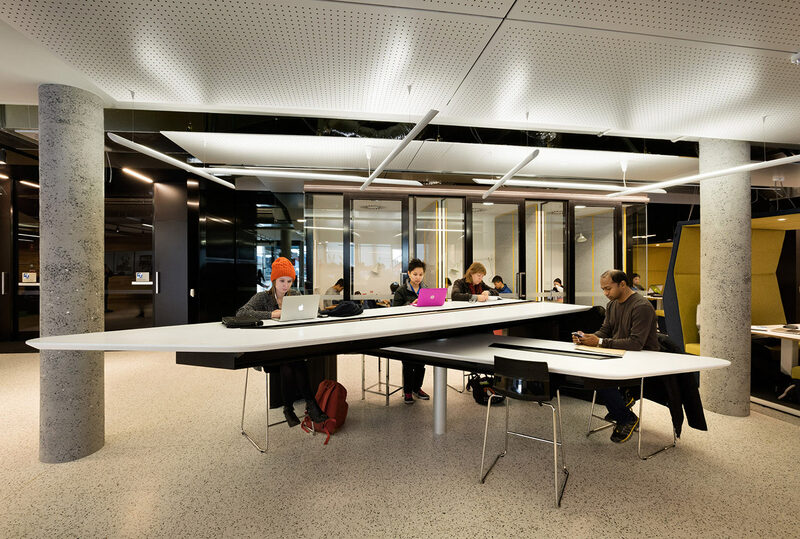 Involving the significant upgrade and adaptive reuse of the Centenary Building, the new school delivers a post graduate suite, Harvard-style lecture theatres, a Technology Enhanced Active Learning space and an informal learning area with a mix of spaces for students to hover, socialise, eat or conduct private study. 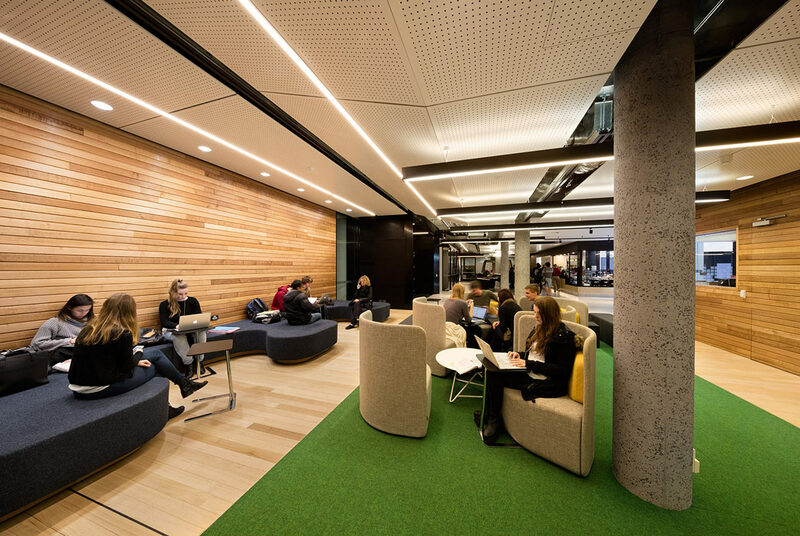 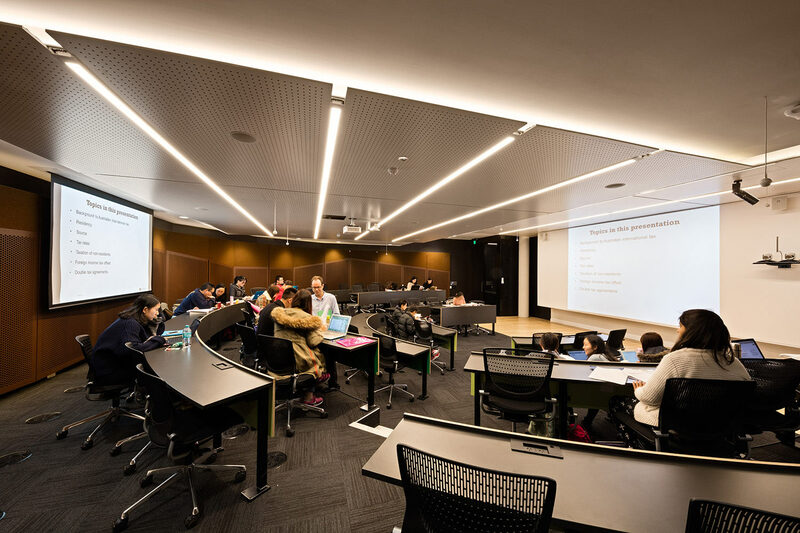 Adaptive reuse is a sustainable way forward to consolidate the university’s aged building stock; the Centenary Building upgrade extends the quality of educational facilities and community connections, while increasing operational efficiencies.